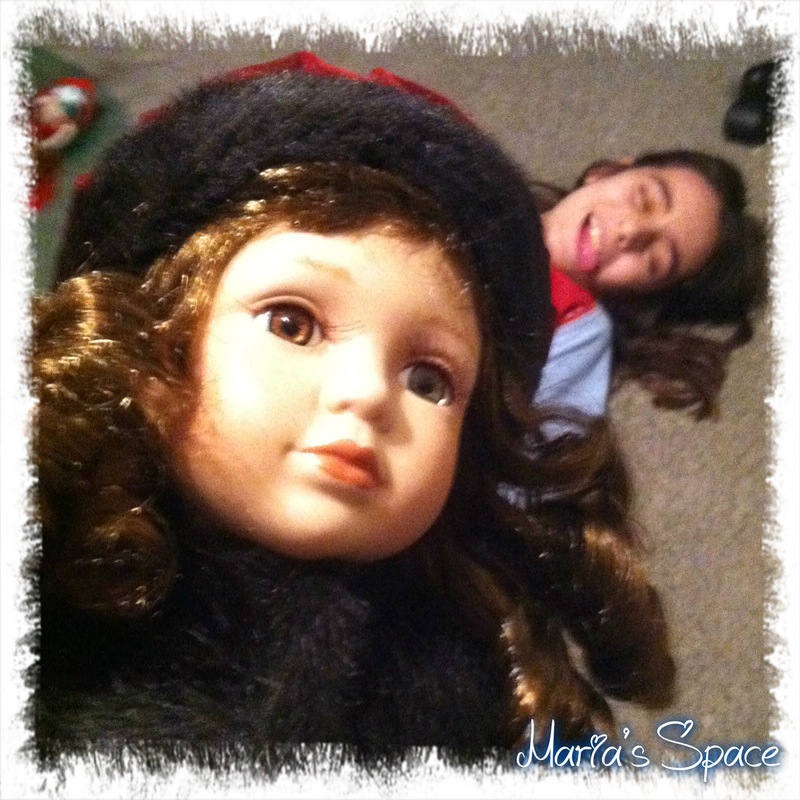 Maria's Space: Christmas Dolls Can Be Scary. Who KNEW!??? Christmas Dolls Can Be Scary. Who KNEW!??? The doll's name is Madison and she looks innocent enough but Goddess swears her name is Annabelle and she is very afraid of her. We were laughing and joking when she said, "Mommy she looks like me, her eye lashes are very long, she freaks me out." I hugged the doll and Goddess pretended to faint. I said, "She is beautiful. My Daddy your Grandpa gave her to me." She was like "Mommy I am going to have nightmares, please please put her away." Soooooo like the good joking, fun mom I am I said, "I am not going to put her away, I am going to have her pop up in various places like all your friend's Elf on a Shelves." Her face completely changed from a smile to complete fear, "nooooo mommy, I am afraid of her. Stop saying that." So....like a good mom I reboxed her and put her away. She has been around for over 15 years and maybe one day will be able to come out again but this year she will return to the attic. Which I of course won't mention to Goddess because that is just creepy to me.